Under pressure lads’ magazines experienced the biggest losses in year on year circulation in the men’s magazine sector in the first half of this year, according to ABC. 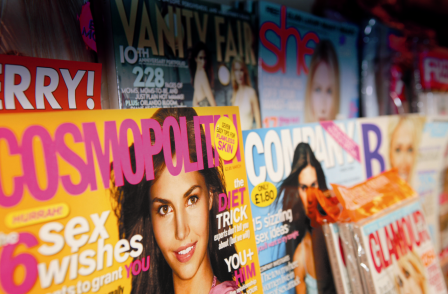 Nuts magazine, which is owned by IPC Media, saw the biggest decline, with sales dropping 34.8 per cent to 58,781 year on year in the six months to June. Bauer-owned Zoo, meanwhile, saw a 23.1 per cent drop in circulation to 35,596 – making it the smallest men’s lifestyle title audited by ABC. The sales losses come as supermarkets Tesco and the Co-operative Group are encouraging the titles to make themselves more "modest". Bauer’s FHM saw the third largest drop in circulation for the year to June 2013. It now has a circulation of 106,370 – down 14.12 per cent. The best performing titles in the sector were free magazines. Square Mile’s circulation increased by 41.3 per cent to 48,957, while Shortlist and Sport were the biggest magazines in the group with circulations of 534,494 (up 1 per cent) and 305,684 (no change) respectively. The best performing paid-for was How It Works, which had a circulation rise of 11.5 per cent to 38,012.